Hope you brought your mug of hot something with you, as today we've got a few things on the go here on our blog. Hubby asked me yesterday morning if I would look up the recipe for the fruitcake we're baking this year. He suggested that he measure out the fruit and nuts and get them ready while I went off to meet a friend for lunch. As you might imagine, it didn't take me more than a nano-second to nod my assent. Oh yes, please, that would be lovely. Today, I went out to buy a couple of new loaf pans for the baking of the Christmas cake, and by the time I got home, hubby was already measuring and mixing the rest of the ingredients to make the batter. So I quickly cut up the parchment to line the new pans and in no time those loaves were baking in the oven. Oh my, and then the fragrance began to waft up and out of that oven ... swirling around our noses in lemony, fruity, vanilla-y enticement. Two hours later the cakes were done and cooling in the pans. I must admit I was sorely tempted to follow my mom's example when it comes to sampling fruitcake. Her favourite way is to slice off the crust, skip right over the aging process, and eat it while still warm from the oven. 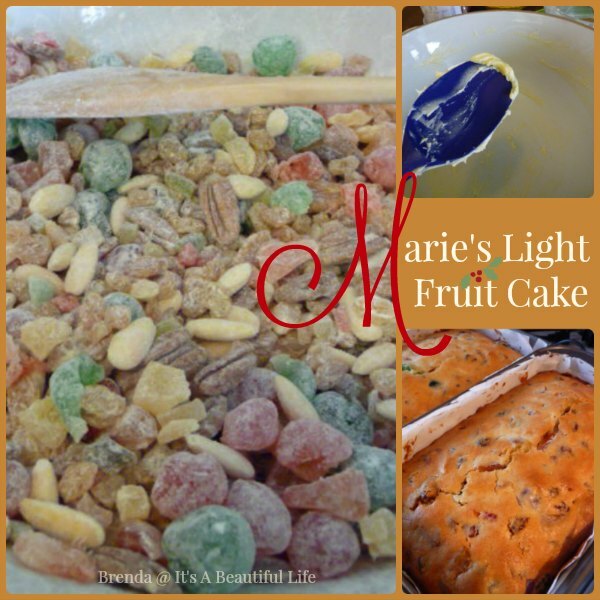 Below is the recipe for Light Fruit Cake -- we call it Marie's fruitcake as it's her recipe, a friend of my sister. The recipe has been a part of our family tradition now for years. Prepare 3 loaf pans – line with 2 alternating layers of parchment paper and grease. Mix all fruit and nuts with one cup flour. Bake at 275 F for 2 – 2 ½ hours, or until toothpick comes clean. Cool in pans. When cool, remove loaves from pans and brush with brandy. Wrap in plastic. Ripen for 2-3 weeks, brushing 3 more times with brandy, and then may be frozen. Last December I offered a little blogging Advent series on restoring the joy of Christmas. This year I've turned the blog posts into a PDF book so that you can download it and even print it off if you want. Just so you know, the book isn't quite the same as the posts -- text has been adjusted, new graphics have been included, and of course, the format and layout are different. A new blogging friend, JoAnn, was excited to find the series on the advent blog recently -- she was looking forward to reading it during December. And, another long-time reader, after casting her kind editor's eye over the pdf format, remarked that even though she'd read the blog last year, she found it was new and fresh again. 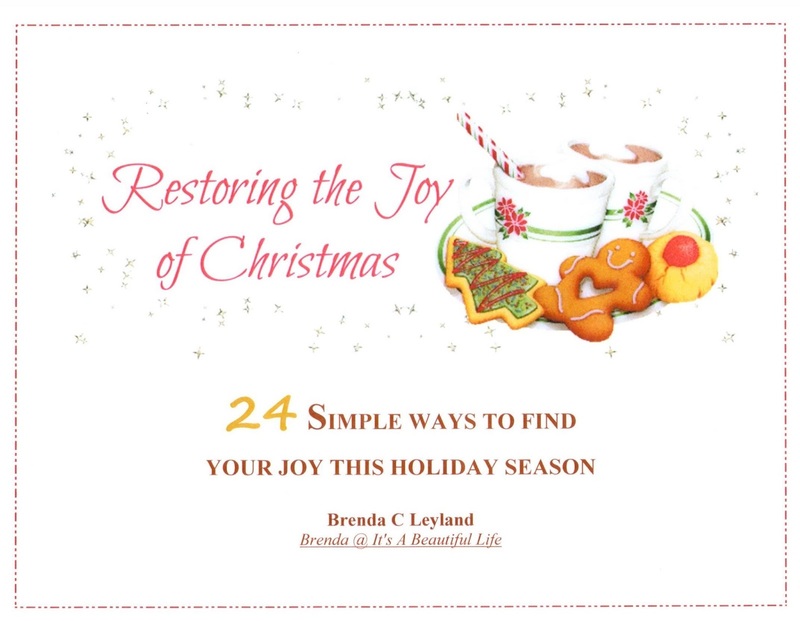 So, I'm excited to offer Restoring the Joy of Christmas as a little gift this year. I hope you enjoy the thoughts I share and that it indeed adds a joyful addition to your Christmas preparations. To go along with the book, I created a bookmark that you can download and print off onto card stock. Punch a hole at the top and thread a ribbon or cord through it and, voila, you have a cute bookmark for your Christmas reading pile. Is that pile by your bedside or by your reading chair in a cozy corner? December is not that far off anymore, and often people who celebrate Christmas use advent calendars as a delightful way to count down the day until Christmas Day. That's why it's so much fun to have this giveaway contest in which we are giving away two Jacquie Lawson e-advent calendars: one Victorian Theme and one Christmas Market Theme. 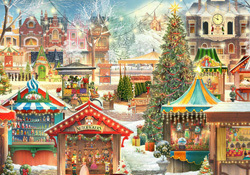 Each calendar unveils something new from Dec 1 to 25 -- games, puzzles, delightful animation, and music. You can check out more about these calendars by clicking here. Last year, I sent one of these advent calendars to a dear friend; she told me how much fun both she and her granddaughter had doing all the puzzles, making snowflakes, and watching for the day's surprise when a new window opened. My friend was pretty excited to see a new one pop into her inbox just a few days ago. Those of you who have ever received a Jacquie Lawson e-card will understand just how delightful it is to have a membership to her website full of e-cards. A membership to jacquielawson.com gives you access to all of Jacquie's gorgeous e-cards for a whole year. Talk about surprising all your family and friends with exquisite e-cards for events like birthdays, anniversaries, holidays, and just because times. 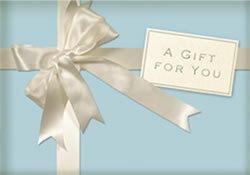 To see the kinds of cards available for yourself, click here. 2. If you want your name added a second time for each draw (ie, a second chance to win), include a comment about what you do to restore your joy of Christmas when you need it. 3. You are welcome to share the contest on your own blog. If you let me know, I'll add your name a third time. 4. Contest closes Wednesday, November 25 at 10:00 am MST (to give time for contest winners to get their calendars before Dec 1). Contest now closed. 5. 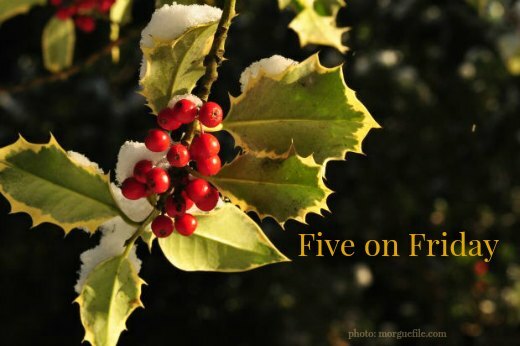 What else to make Five on Friday and wrap up? The evening shadows draw in close so early now. I was out in the town around 2:30 this afternoon and already it felt like a person should be heading home for cozying up beside the fireside. The sun was low in the sky. Oh my. But then it is late-ish November. We forget it's that late in the year when we haven't had the usual cold and snow to remind us. Today I'm grateful for twinkle lights, the fireplace, hot toddies, and warm cozy covers to snuggle under when I crawl into bed in a few minutes. Oh yes, and a hubby who doesn't mind if I put my cold feet on his. What a wonderful giveaway, thank you for the opportunity of taking part. Have a great weekend. To restore my joy of Christmas I look back at some of the photographs of previous years, some of my favourites are of my girls in the Church nativity and carol singing. They always, always make me smile. I love the little PDF Booklet about Christmas. I am fairly new to your blog--probably the last three or four months. Giveaways are always such fun, especially for those of us that are in charge of making Christmas joyful for the rest of those in our homes and sometimes get weary with all of it. What I do when that happens is look at the calendar and try to clean it up a little. For me, the joy starts leaving when there is no time to "rest" in the meaning of Christmas because of all the busy-ness it brings. Thank you Brenda. I know I shall enjoy reading the booklet, as I always enjoy your writings. Like you, I love the Jacquie Lawson calendars and have just downloaded mine, waiting with anticipation now! Brenda, you have filled my morning with your tenderness and generosity. I have my own Jacquie Lawson subscription and will be signing up for the Advent calendar, too. I send them to my children and mom and dear friends. It's such a lovely thing. And I'll be downloading and probably printing your Advent readings - I read some of them last year. Thank you so much. Your fruitcake recipe sounds like one I used to make and then I lost the recipe. I'm going to be trying yours, I hope. Have a lovely day. Such lovely Christmas items today, Brenda. So well done. I'm not much on fruitcake, so probably won't be trying your recipe. As to the Christmas holiday, I try to get a lot of shopping done during the year so I don't have much to stress me out before Christmas. To keep up my spirits, I try to do things for the benefit of others, like a Christmas basket and gifts for a family, or just caroling with the choir. Wonderful fruit cake! I need to bake one this year! It has been too long! You have certainly come up with some super giveaways! There will be some very happy winners! During Advent, it is important for us to allow ourselves that "pondering time." Time to just be! There are times that can be worked into each day for that purpose! Happy week-end! 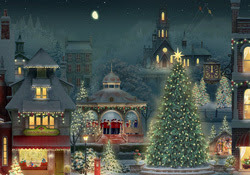 I just renewed my JL account and was given a free Victorian advent calendar as a bonus. Good luck to those entering your draw. I'm off to read your PDF on Christmas. I've downloaded your Christmas advent book and look forward to reading it in December. Listening to Mariah Carey's "All I Want for Christmas" always lifts my spirit and restores my joy of Christmas. Thank you for the opportunity to win one of your generous giveaways. Your Advent book is lovely. Thank you so much for such a gracious, lovely gift. Jacquie Lawson cards are awesome. A friend regularly sends them to me, and another friend gifted me with an Advent Calendar this year. I'm looking forward to the daily fun. how fun, I have a friend in Sweden and they are singing Christmas songs already then I realized they don't have to wait till after Thanksgiving holidays cause that's just in USA...lol! What a lovely post! The fruitcake looks and sounds wonderful. And the pdf and bookmark ~ what a wonderful and generous gift! And the giveaways ~ how lovely. What a wonderful post! You made my mouth water over the fruitcake! And what a sweet hubby you have! You are getting us all in the mood for Christmas! I enjoyed it so much! And yes please enter me into the contest! Brenda, your post is lovely. It's filled with wonderful thoughts and ideas. Your fruit cake sounds wonderful. I make a light and a dark every year; old family recipes. I do love Christmas, always have. Whenever I need to restore my joy of Christmas, I just think about my many blessings and especially the Blessing of His coming the first time which is why we celebrate Christmas in the first place. What a loving God we have! Have a beautiful Sunday, my friend. Thank you for sharing the pdf with us it looks delightful. To restore my joy of Christmas last year I went to Midnight Mass. This year with baby in arms we wont be staying out quite as late but trying to create a beautiful first Christmas for her.